An East London enterprise is helping to tackle the endemic problem of food waste and child hunger in the capital, while serving up high-end baked goods. Founded last year, sustainable food initiative DayOld is London’s first surplus food box scheme. One of its co-founders, Abi Ramanan, was recently named one of 2016’s ‘New Radicals’. The list, compiled by charity Nesta in partnership with the Observer, highlights the 50 most radical-thinking, socially-conscious innovators in the UK. 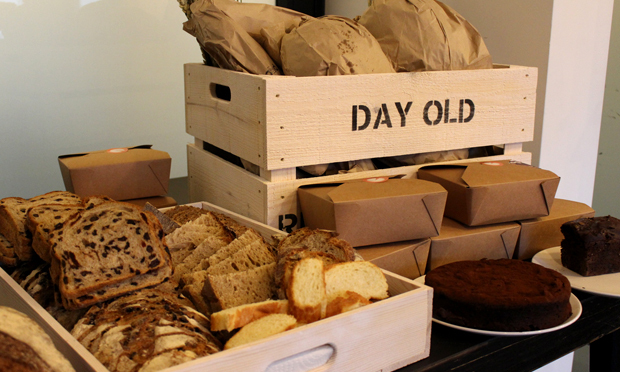 Funded by the Bromley-by-Bow Beyond Business scheme, DayOld aims to stop waste from artisan bakeries. 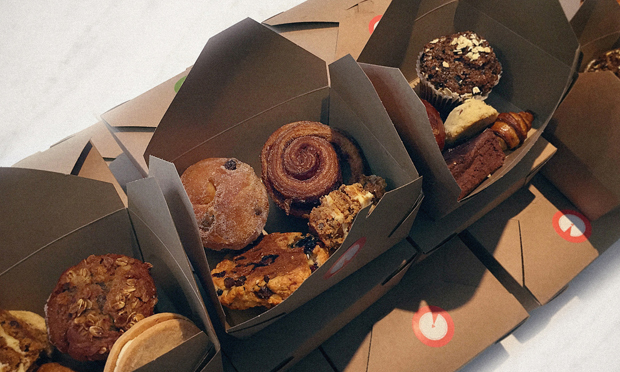 It does so by collecting leftover pastries and goods donated by the bakeries, and repurposing them, selling them the next day via office pop-ups, treat boxes and event catering. Ms Ramanan met one of DayOld’s co-founders at a friend’s birthday party, and they got talking about food poverty in the capital before deciding to help tackle the issue. They felt that there was a gap in the market for an enterprise that worked with high-end surplus goods, especially one that turned those goods over onto a secondary market rather than merely redistributing them. Bakeries are one of the most wasteful types of food supplier in the UK, with an estimated 24 million bread slices left over each day. The DayOld team aims to deal with this problem by collecting everything from loaves of high-quality bread to brownies and cinnamon rolls, and reselling them the next day at a discount price. Profits from the enterprise are then donated to charities that work to address the rising levels of food poverty and child hunger amongst low-income families in East London. DayOld’s main beneficiary is currently the Magic Breakfast programme, a nationwide scheme providing free breakfasts and nutrition advice to schools where 35 per cent of children or more are eligible for free school meals. The programme, founded in Tower Hamlets in response to critical levels of child hunger in local schools, operates in 59 schools across its three target boroughs (six in Hackney, 25 in Newham and 28 in Tower Hamlets). DayOld is not the only food-based social enterprise with which Ms Ramanan is involved. She has also been commended by New Radicals for her company Papi’s Pickles, which provides fresh South Indian and Sri Lankan food for events, pop-ups and street food markets and employs women who have fled the conflict in Sri Lanka.